A Fiat Chrysler spokeswoman declined on Tuesday to comment on those accounts. One Chinese company, Great Wall Motor, emerged publicly this week as an eager suitor for Jeep, Fiat Chrysler’s fastest-growing and most profitable unit. On Monday, after Great Wall said it was interested in buying Jeep, Fiat Chrysler said it had not been formally approached by the company. (Great Wall acknowledged on Tuesday that it had not made contact and cited “big uncertainties” about how it would proceed.) Yet Fiat Chrysler did not specifically rule out a sale, a major signal to other companies that it is intent on exploring deals for Jeep and other divisions. The Great Wall overture sent Fiat Chrysler’s shares up almost 7 percent in New York trading on Monday, to their highest point in more than two years. Fiat Chrysler was created in 2014 following Chrysler’s bankruptcy in 2009. The company does not specify global sales figures by brand, but last year it sold 2.6 million vehicles in the U.S., or 12.6 percent of all vehicles sold in the country that year. U.S. sales for 2016 shown below. The Italian-American automaker began to take shape after the bankruptcy and government bailout of the former Chrysler. Mr. Marchionne was showered with credit for blending the companies. But for most of the past two years, Fiat Chrysler has been openly seeking a merger partner to survive as a long-term player in the global auto industry. Several major automakers, including General Motors, Ford and Volkswagen, have disavowed interest. Known for his outspoken views on hot-button issues like the potential of electric vehicles and the merits of the North American Free Trade Agreement, Mr. Marchionne has been uncharacteristically cryptic in his recent comments about the possibility of selling off Fiat Chrysler in pieces. “We have an obligation to purify that portfolio,” Mr. Marchionne said last month during an earnings call with analysts, referring to whether the company was considering divesting business units. Asked whether the European brands Maserati and Alfa Romeo might be sold, Mr. Marchionne said he would “reserve judgment” on that possibility, then cut off further questions. Industry analysts believe Fiat Chrysler is in a weak business position compared with much larger rivals like Volkswagen, Toyota and General Motors. The bulk of Fiat Chrysler’s global profits are generated by Jeep S.U.V.s and Ram pickups sold in the American market, and the company has lagged far behind competitors in pursuing advanced technology for autonomous and electrified vehicles. Sales of its passenger cars, like Chrysler and Dodge vehicles in the United States and Fiat models in Europe, have struggled mightily in a market shifting away from traditional sedans. To compensate, Fiat Chrysler is rapidly converting its American production facilities, including the Belvidere plant, from building cars to making Jeeps and pickups. By the end of 2017, all six of its assembly plants in the United States will be devoted to S.U.V.s and trucks. Plants in Mexico and Canada still produce the passenger cars the company sells here. It is almost unprecedented for a large automaker to abandon entire segments like compact cars, and the move has been challenging for dealers who have to adjust to smaller lineups in their showrooms. 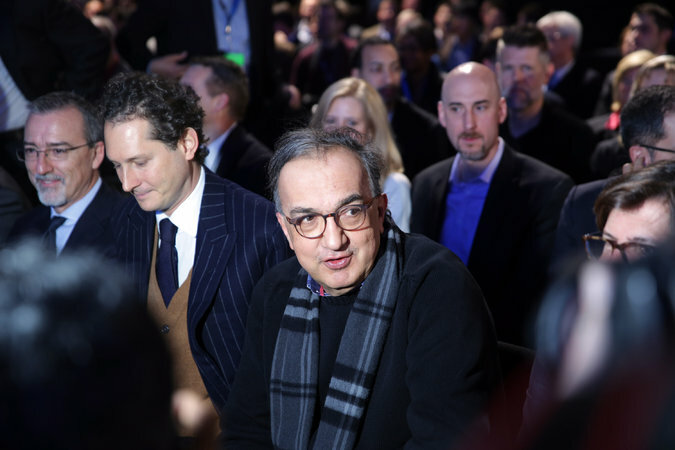 Sergio Marchionne, Fiat Chrysler’s chief executive, has been uncharacteristically cryptic in his recent comments about the possibility of selling off the company in pieces. The increased emphasis on trucks and S.U.V.s has only fed speculation that the company is beefing up its most attractive assets for sale. In the past couple of years, Fiat Chrysler’s chairman, John Elkann, has talked openly about the possibility of a partnership or merger with another automaker. Mr. Elkann is the leader of the Agnelli family, which has a controlling stake in Fiat Chrysler though a holding company. Early last year, Fiat Chrysler completed a spinoff of its luxury-car brand Ferrari, and its shares have since soared. Giuseppe Berta, an economic-history professor at Bocconi University in Milan and a longtime consultant on Fiat’s historical archives, said that Mr. Elkann might be pushing for a larger deal before Mr. Marchionne’s expected retirement next year. Mr. Berta said the uneven performance of business units at the company made it difficult to sell as a whole, and that the initial merger of Fiat and Chrysler was ill equipped to stand the test of time. Industry analysts also question whether the company has the financial capacity to compete in the emerging era of self-driving vehicles. Fiat Chrysler said recently that it would join a partnership with the German automaker BMW to develop such technology, but that hardly ensures it will be able to keep up with automakers like G.M. or Silicon Valley competitors like Tesla and Google. 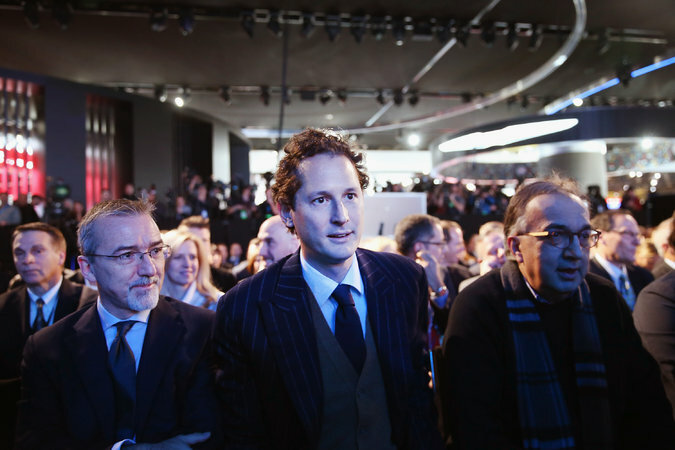 John Elkann, Fiat Chrysler’s chairman, has talked openly about a potential partnership or merger with another automaker. One analyst, Kristin Dziczek from the Center for Automotive Research, said the company had significant debt that could hamper its ability to spend money on new technology and models. “That does not bode well for investing in future product,” she said. The possibility of selling Jeep to a Chinese buyer could be problematic. Any deal would probably be subject to government review in China and in the United States. And Fiat Chrysler would have trouble replacing the profits and market share generated by its prized S.U.V. division. Mr. Marchionne cautioned in the recent earnings call that the company could not simply sell off its choicest parts to the highest bidder. The prospect of a breakup or sale comes at a particularly difficult time for Fiat Chrysler. In the United States market, it is suffering from slowing consumer demand and a Jeep lineup stocked with older models. In the first seven months of the year, its sales fell more than 7 percent, and those of the Jeep unit declined more than 12 percent. Worldwide, Fiat Chrysler said, Jeep is still growing, thanks to rising sales in China and elsewhere, although it does not break out global sales by brand. The company is also facing a federal indictment against its former top labor negotiator over allegations of a payoff scheme involving company and union officials, and a lawsuit filed by federal regulators accusing Fiat Chrysler of configuring its diesel-powered vehicles to cheat on emissions tests. But controversy and crisis have touched the former Chrysler for decades, dating back to the federal government’s loan guarantees to keep the company operating in the late 1970s. Since then Chrysler has been sold three times: first in 1998 to German automaker Daimler-Benz, and later to the private equity firm Cerberus Capital Management and then to Fiat. Mr. LaSorda traveled the world in 2007 as Chrysler’s vice chairman looking for a partner to save the automaker from extinction. While the company ultimately joined up with Fiat, one of the sales calls was with Great Wall. “They always had an interest in getting into the U.S. market,” he said.